The pastel-hued mountain-top city of Sintra is a must-visit attraction for any visitor to Lisbon, Portugal. 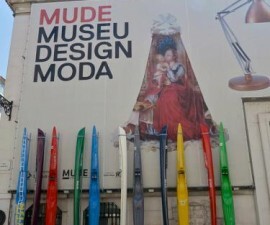 If you are staying in Lisbon for more than a day or two, do make the effort to get out of the city centre and up into the hills to discover the beautiful and unique attractions this historic city has to offer. Sintra is located to the north west of Lisbon, on a mountainous area that rises up from the verdant plain and Atlantic coast to its south and west. Its dramatic location alone makes it worth making the trip to Sintra, and there is plenty to do and see here when you arrive. For more than five centuries the Portuguese royal family and leading nobility adopted the Sintra area as their summer playground. The perfect place to escape the heat of the city, Sintra became swathed in mansions, palaces and other landmarks that have been beautifully preserved to this day. Taking a walk through the winding pathways of the town to admire the mix of Roman, Arab, European and Portuguese designs which sit in juxtaposition certainly makes for a memorable day. Much of Sintra is a designated UNESCO World Heritage Site thanks to the exquisite architecture and its unprecedented preservation. Combine this with the breathtaking panoramas that spread out beyond, and it is easy to see why so many make the trip from Lisbon to Sintra. 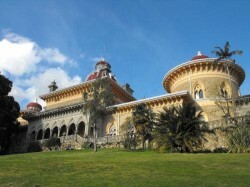 It takes around half an hour to make the journey from Lisbon to Sintra. The road link is fast and effective and if you have one day in Sintra it is well worth making the journey by hire car in order to explore a little in the local area. Sintra sits in the heart of the Sintra-Cascais Natural Park and offers plenty of interest to discover. Assuming the majority will arrive in Sintra by public transport however (there are regular train and bus services) our exploration itinerary focuses primarily on the attractions that are offered in the heart of the historic city itself. Our trip to Sintra begins at the National Palace, the only royal palace from medieval times that remains intact in the whole of Portugal. The gleaming white towers are a distinctive landmark in the equally attractive skyline, and the combination of Moorish, Manueline and Gothic architectural styles creates a breathtaking backdrop to the city. Look out for the beautiful woven rugs, period furniture, ornate paintings and expertly designed tile work as you explore the rooms and galleries of the palace. Our next stop is the Palacio Real de Queluz, where we can admire one of the best-preserved and most ornate examples of Rococo architecture. 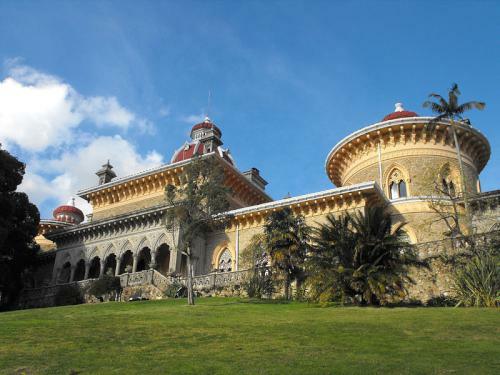 This was once the summer getaway of King D Pedro II and Queen Maria I and hides a wealth of tales of grandeur and intrigue behind its lavishly designed walls. The Moorish Castle and the Pena Palace both deserve a place on our Sintra sightseeing itinerary. The latter forms an important part of the UNESCO World Heritage Site that accounts for much of the city and its panoramic landscapes beyond. 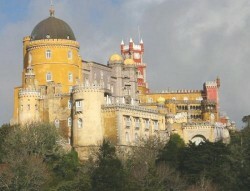 Other places of interest to see during your trip to Sintra include the Convento dos Capuchos, the 16th-century monastery that found its way to the heart of the Portuguese royal family, and the Quinta da Regaleira, an enchanted fairy castle set amongst beautiful flora, water features, grottoes and magical secret passage. If you have just one day in Sintra to explore, it can be difficult to prioritise what to see and do. There is so much of historical and architectural interest that it would be easy to spend all your time simply wandering from one to the other in awe. However, Sintra also has a beating heart with its roots firmly in the 21st century, and it is worth taking time out to explore its cultural identity. 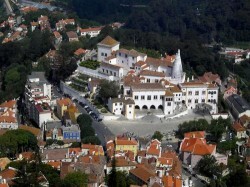 The Sintra Bazaar is a charming market area which sells gifts, jewellery and a whole collection of random items. Or spend your time wandering through the winding streets of the old town, which are lined with quirky shops, cafes and boutiques selling a variety of unusual and mainstream wares. 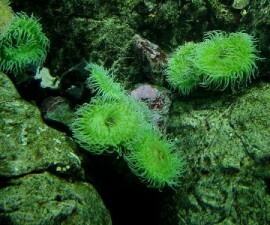 Lace, embroidery and linens feature strongly in Portuguese tradition and Sintra is no exception. A cluster of upmarket boutiques stocking some lovely fabric items that would make the perfect gift or memento of your trip to Lisbon, and a variety of ceramic stockists can also be found in the area. 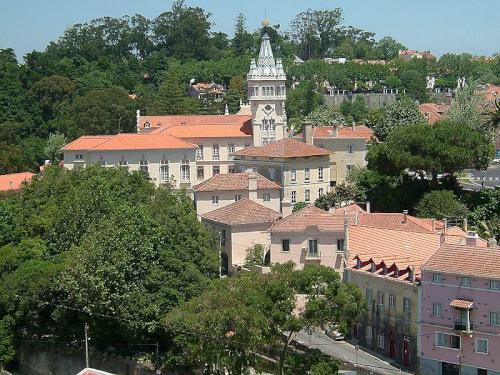 Stop for a bite to eat at one of Sintra’s restaurants such as the sophisticated A Raposa, where the stucco ceilings, murals and home-cooked fare make the perfect accompaniment to your day of sightseeing in this UNESCO World Heritage City.